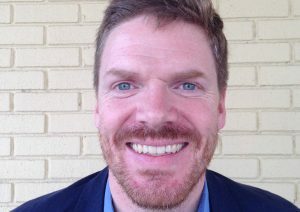 Aaron Turner has been involved with Human Kindness Foundation since 2001. 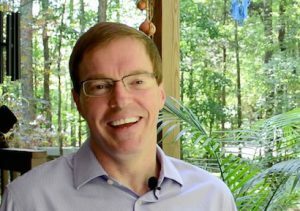 He first connected because of his passion for the spiritual principles of HKF, and quickly became the drummer for “Bo Lozoff and Friends,” performing with Bo in several prisons and on the 2004 CD “Whatever It Takes.” He also served on the Board of Directors for Habitat for Humanity Alamance County for 15 years. Aaron is a working musician who lives in Burlington, NC. 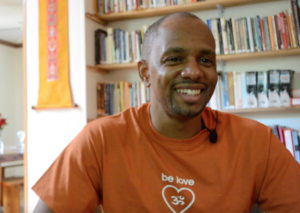 Chris Canfield volunteered in a prison for more than a dozen years, taking people who were incarcerated out on passes and leading yoga and meditation classes. 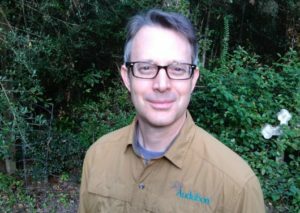 Chris works as an environmental nonprofit executive, and lives with his wife in North Carolina. In Bo Lozoff’s books, he found a kindred and guiding spirit. He is author of a fantastic PDF guidebook for Volunteering in Prisons found here. Gina DeVine is a CPA in Carrboro, NC, who has been a friend of Human Kindness Foundation for many years. Having joined our board in 2018, she gives generously of her time and financial expertise as our Treasurer. 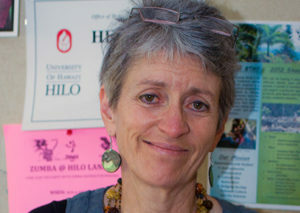 Along with her professional practice in North Carolina, Gina has taught Accounting and Taxation at the University of Hawii – Hilo. She lives in Carrboro with her husband and is grateful to have some of her grandchildren nearby. 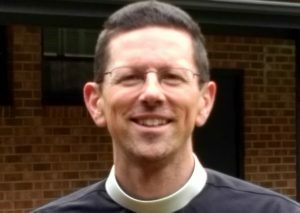 Reverend Joe Hensley is the Rector (lead priest) at St. George’s Episcopal Church in Fredericksburg, VA. A graduate of UNC-Chapel Hill and Virginia Theological Seminary, Joe has also worked as an Outward Bound instructor, a youth minister and conflict resolution consultant. He lives in Fredericksburg, VA with his wife and three children. John Collins received HKF literature and tapes while incarcerated, and credits these works, as well as later personal interactions with Bo, Sita and HKF staff and volunteers, as being a major part of his transformation and recovery. John currently works as a CAD designer in an engineering firm and is deeply involved as a volunteer at the prison he was released from in 2006. 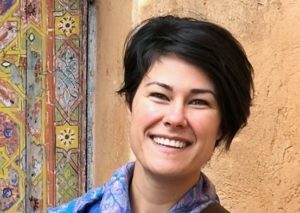 Morgan Siem found HKF through interests in meditation, Ram Dass and prison outreach. Before becoming a board member, she was a volunteer and then a part-time staff member at HKF. For her, the opportunity to know so many people who are transforming their hearts while in such tough settings is a daily inspiration. Morgan lives in Snow Camp, NC, and pursues interests in wild foods, sustainable living and intentional community. Dr. Peter Kuhns has served as a psychologist in various corrections settings since 2003. Dr. Kuhns has also led staff trainings and served as a consultant with the goal of creating positive, healthy environments for staff and people who are incarcerated. He lives in Raleigh with his wife and daughter.